We have made a number of awesome updates to Clientrol Team & Agency versions, let’s jump right in! With Clientrol Team and Agency versions, you can assign a Manager to a Client so they can work on Requests or Projects. Managers can be internal or external contractors, Clientrol is great to being everyone together. With our new Reporting feature you can no see at a a-glance how your Managers are performing. In the new Reporting Tab under Clients, you can instantly see Manager and/or Admin reports for each of your Clients, you can also export the data to excel to import into a time tracking tool. The usual methods to add time to a Client account are by 1) Using the Timer or 2) Manual adding time – in these instances you would have to create a Task or a Request to add time to a client account. 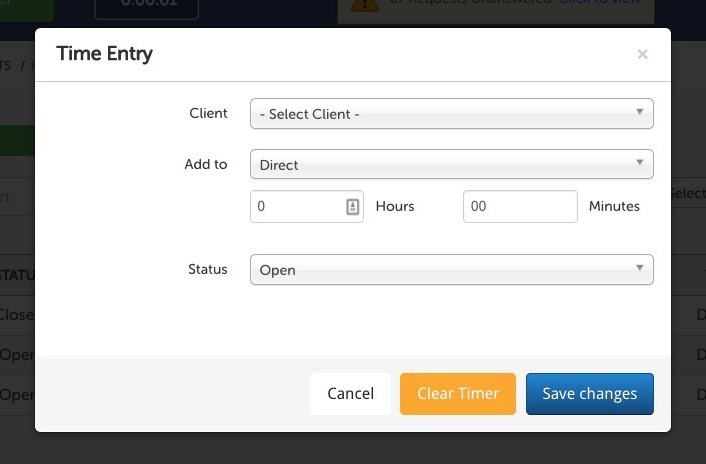 Now we have introduced Direct, this way you can add time to a Client account directly without the need to create a Request or a Task. You can add a reference if you wish, this is handy for Managers who work on Client Retainers without the need to create Tasks or Requests. 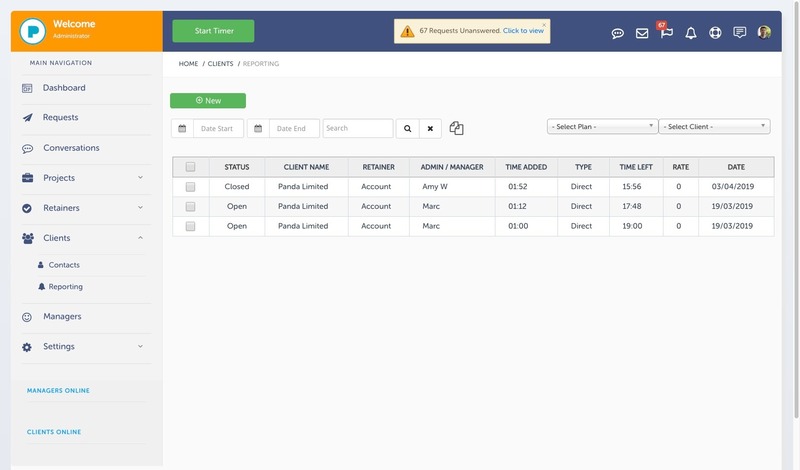 We are currently working on integrations with accountancy platforms: Xero & Quickbooks and time integration with Hubstaff. We have made good progress on our Quickbooks integration, however Xero is proving to take longer than expected. We will keep you updated and things progress.